Adjacent to the lush, 245-square-metre Poolside Garden are two pools: 24x13 metres for the grown-ups and 13x3 metres for the kids. 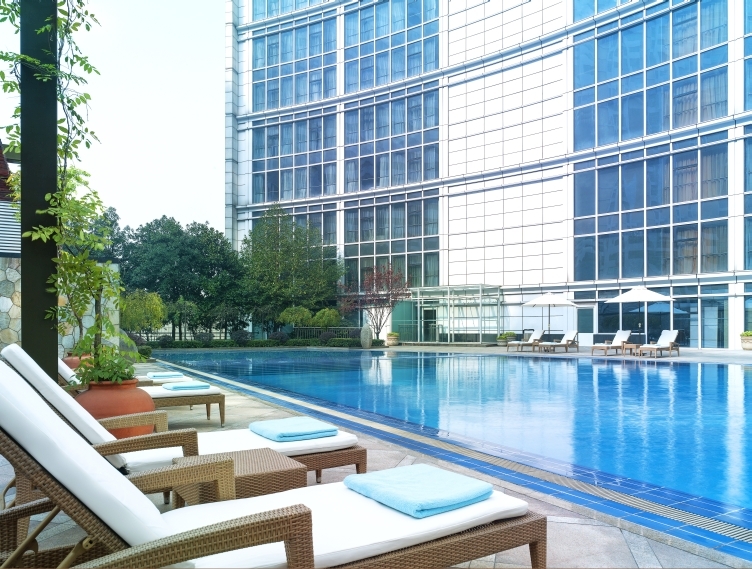 Enjoy a swim before breakfast, in the afternoon sun or late into the evening. Life is always good when you can laze around on the sun deck reading or getting a tan while you enjoy delicious snacks and cool drinks in this city oasis. A complete range of aerobic and weight fitness facilities are all yours for over 15 hours a day, so you can fit your workout into almost any schedule. After your workout, or simply to relax, there’s a steam room and sauna, and professional gym trainers can see you by appointment. 24 hours opened, self-service from 10 p.m. to 6:30 a.m.
Archery is one of those classic sports that people already enjoy or would like to try. There’s no better place that our archery club, with international standard 30-metre and 18-metre ranges. Our professional coaches will be happy to help you get familiar with archery or to suggest some pointers on your technique.